Made in South Africa from PVC billboards and trimmed with polyester waste. A neat small wallet for handbag or pocket. 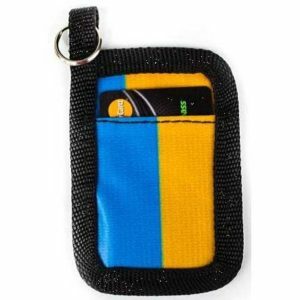 Zipper closure and can be attached to a key ring. Made in South Africa from PVC billboards. 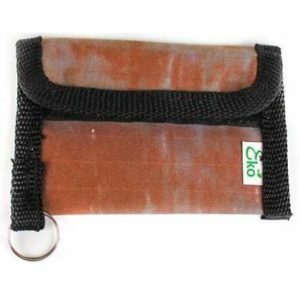 A neat small wallet for handbag or pocket. 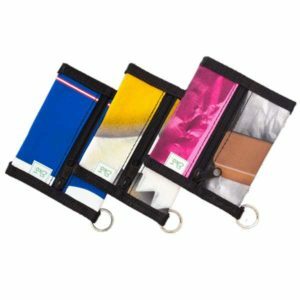 Velcro closure and can be attached to a key ring. Made in South Africa from PVC billboards.